Canadian developers StoryFix Media are gearing up to release a mysterious choose your path text adventure called The Pulse that has a post-apocalyptic flavor. The text adventure will be similar to the old choose your own adventure books, but adds new layers of interactivity. The app will shape the outcome of the story based on how the player makes choices by tracking trust, exploration, and an ability to make morally challenging decisions at a moment's notice. In a dark town, not on any map, a woman awakes in a strange motel. With no memory of who she is, or why she’s there, she will rely on your judgment and quick-thinking to navigate untold dangers, learn the secret of her identity, and the truth behind a mysterious pulse that may just to be the cause of it all. Or is it that simple? Along the way, trust will be tested and your ability to tell truths from lies could turn the whole story on its head. The Pulse will be available to download on Google Play in late October. 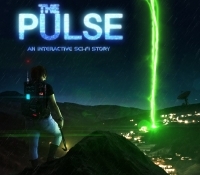 Visit thepulsegame.com for more updates.